Never mind that at 77, the chef already has done a lifetime of work. 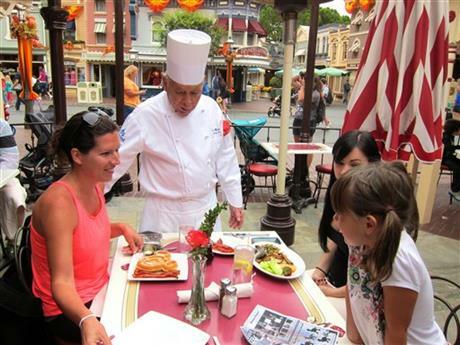 Or that he must rise around 3 a.m. each day to catch a city bus in time for breakfast crowds at Carnation Café, one of the park’s restaurants. With 57 years under his apron, he is Disneyland’s longest-serving employee. Smith says earlier in life, people are uncertain what career path they want to take and may be stuck in jobs they despise. Though some older workers stay on the job out of economic necessity, many others keep working because they can’t imagine quitting and genuinely like their jobs. Matt Sedensky, an AP writer on leave, is studying aging and workforce issues as part of a one-year fellowship at the AP-NORC Center for Public Affairs Research, which joins NORC’s independent research and AP journalism. The fellowship is funded by the Alfred P. Sloan Foundation and supported by APME, an association of AP member newspapers and broadcast stations. This AP story was originally released on October 27, 2013. It is estimated that approximately one-half the world’s population receives news and information from The Associated Press each day, which suggests the reach and penetration of each of these stories.